SBG has the ability to restructure and maintain your plan document to help meet the Department of Labor's Fiduciary Standards. Plan sponsor selects the plan's investment lineup from SBG fiduciary fund line up’s approved lists based on bench marking historical results. SBG also has a pre-selected Mesirow Fiduciary Line Up provided by Ameritas Investment Corporation to select. Categorical fund selections including but not limited to 4 classes; cash equivalents, domestic bonds, domestic equity and foreign equity. SBG provides sample investment policy statement to illustrate that your plan fits the guidelines and the plan is monitored to conform with DOL guidelines. 3(21) SBG serves in more ways than one. You want your employees to succeed at work, in life and in preparing for their retirement. As an employer with a retirement program, you are responsible to provide the tools to allow your employees access, allocate resources to educate, and provide options to save in an unbiased level playing field for their retirement. The fiduciary's role comes with great responsibility, caring for their needs while monitoring the rules and regulations. With the proper guidance and co-fiduciary role that SBG provides, many of the unforeseen problems can be avoided. What is your fiduciary responsibility? whether you select the funds on the platform yourself or hire someone to help guide you, the responsibilities of the fiduciary are yours. 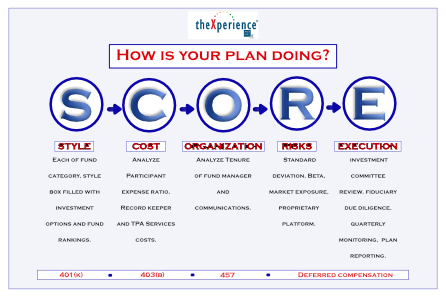 Finding a 3(21) fiduciary for the plan mitigates the fund selection role.